With the rapid growth of LED lighting in the US, Cree has earned itself many fans who swear by their LED light bulbs. To take advantage of this growing fan base, and in hopes of increasing it, Cree has launched an Insider program. To become a Cree Insider, you won't have to pay any membership fees. Instead you're only asked what social media networks you're a part of and your email address so you can opt in. Once you've opted in, you'll be able to start receiving information on tips, tricks and contests. To further entice people to join up, Cree is going to be running design challenges where you'll take and share pictures to enter into the contest, with winners receiving Cree LED bulbs or other prizes. The Cree Design Challenge will start up in May 2015 and will run for 10 weeks. For more information, check out the Cree Insider page on their site. Looking for Cree LED lighting? 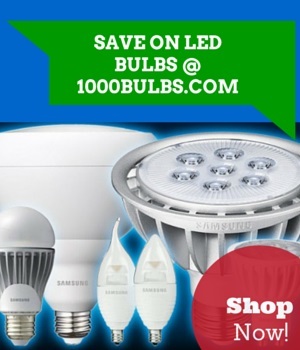 1000Bulbs offers a wide selection of Cree LED bulbs and is the first online retailer authorized to sell their products.